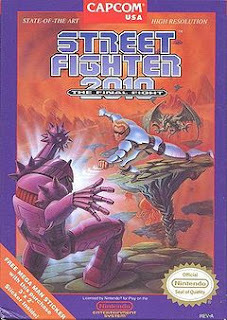 In 1990 Nintendo came out with Street Fighter 2010 to follow the arcade game Street Fighter (both part of the famous fighting franchise Street Fighter series). It paints a world where people can enhance their body using a combination of computer technology, biological engineering, and really cool shades that scream of a Mad Max post-apocalyptic world. People, or at least the main character in the game, can shoot energy from his hands and feet to completely ravish his opponents, can do acrobatic flips that prove to make him invincible, and can travel through interdimensional portals in order to move from planet to planet faster than the speed of light. Apparently technology has not kept pace with the imagination. The future is so lame.